Garrett County Press, 9781939430205, 265pp. Will's career in New York City politics has fizzled out. When a connected colleague and an ambitious restaurateur ask for his help founding a farm in a neglected part of Brooklyn, he sees an opportunity to reinvent himself like all the picklers, beekeepers, and kombucha brewers he's been reading about. 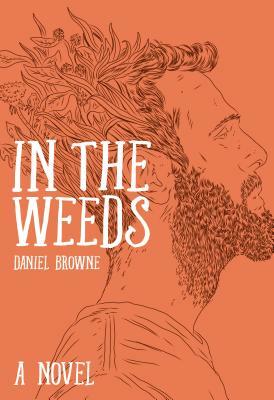 In the Weeds is a cautionary tale and a satire of a time not too long ago when Brooklyn the place became Brooklyn the idea. "Dan Browne's tale of well-meaning Brooklynism will ring true for anyone who has tried to get beneath the patina of Park Slope's brownstones and actually engage the white folks inside them. A satirical yet sympathetic look back at a moment when bike lanes would change everything." --Douglas Rushkoff, author of Throwing Rocks at the Google Bus: How Growth Became the Enemy of Prosperity"A Tree Grows in Brooklyn? Not so fast. Idiosyncratic and funny, deliciously satirical and bittersweet, Dan Browne's tale of good intentions smacking into entrenched bureaucracy (and New York factionalization)) is above all, utterly original. Part contemporary vision quest, part redemption song, it happily slips every label and rolls on, taking the reader with it." --Mark Slouka, author of All That Is Left Is All That Matters"Told with humility, humor, and heart, In the Weeds shows how even when you plant a seed with the best intentions, there's no telling how you're going to grow." --Vanessa Davis, author of Spaniel Rage.